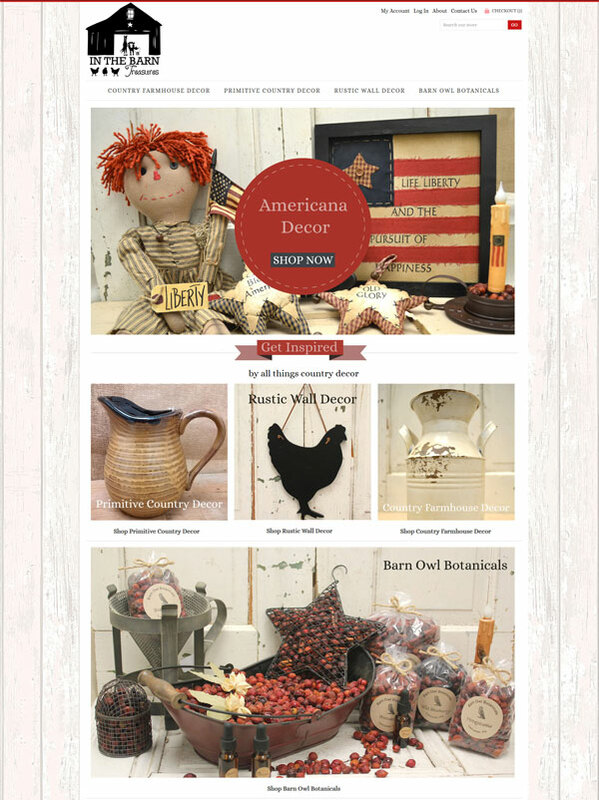 In The Barn Treasures is an Lancaster PA based country decor online store. Although the site stocked full of plenty of enticing stock this Volusion powered eCommerce website was performing very poorly with close to zero traffic. We completely re-optimized it and made it far more engaging for visitors with a simple re-design which included plenty of call to actions and larger photographs.